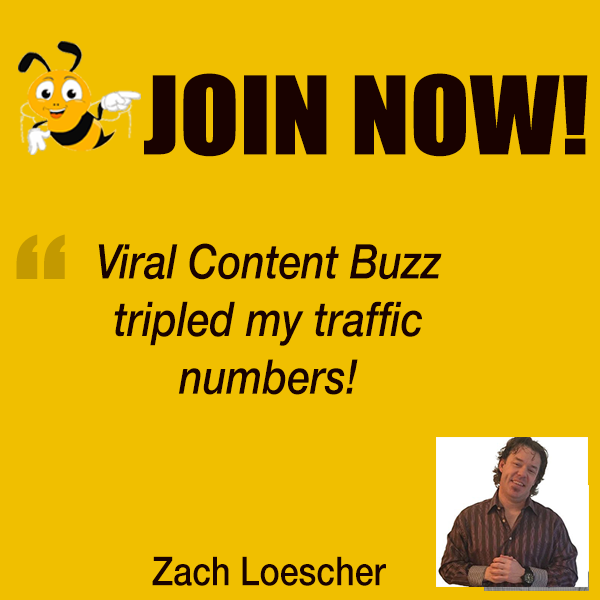 It’s everyone’s dream to build a successful blog to cover industry news and trends. But not many people realize how much work it is. The prime example of how hard work can be rewarded in our industry is seroundtable.com, the one-stop destination of search industry news that has been keeping us updated for years. 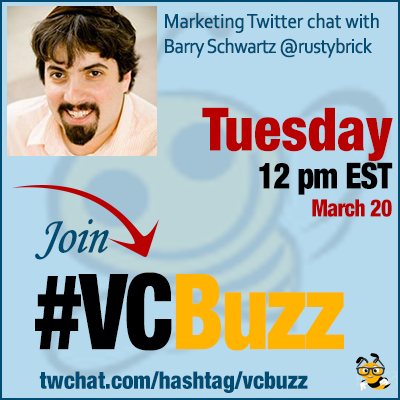 This week we are honored to have seroundtable.com founder Barry Schwartz @rustybrick teach us here at #VCBuzz! Barry Schwartz is the CEO of RustyBrick, a New York Web service firm specializing in customized online technology that helps companies decrease costs and increase sales. Barry Schwartz is the founder of the Search Engine Roundtable and has covered search for over 14 years. Barry is also the News Editor at Search Engine Land (founded by Danny Sullivan). Q1 How did you become a “search geek”? Please share your career story! I am on the web dev side of things and learning and loving SEO came natural to me. Q2 Why did you decide to start Search Engine Roundtable? How did you do that? How long did it take you to set it up? I wanted a place to keep notes on what is changing in the search space. So I started a blog to do that. I started with a MovableType blog, that was before WordPress was available. I then switched it to a custom CMS that my company built. It took no time to set up the MovableType blog but a few months to launch the custom CMS. Q2: Depends what you mean by "getting a new site off the ground." You can get a simple small site launched fast today with the tools out there, but I think you're looking at about 6 months to make meaningful traffic happen. Honestly, I do not consider it a business. I consider it a hobby. 2-3 hours in the early morning. How much time do you surf the web, watch tv, spend on entertainment? Q3 How were you promoting the website when you started it? Are you still marketing it (beyond daily updates)? I don’t think I promoted it much. I got some industry people to help me write stuff early on but that died down as people are busy.There were forums but forums didn’t like when you linked out, so I didn’t do much of that. Q4 What’s your daily site management routine? How much time does it take? I run through my data sources normally between 6:30am and 7:30am, then I spend the next hour writing about those findings. So on average, I spend about two hours each day, give or take. Consistency is super important IMO in terms of everything you do, from business, family, friends, etc . Q5 Which SEO and blog management tools are you using on a regular basis? I built my own CMS and my own blog budgeting software – I named it RustyBudget. I also use Feedly as my RSS reader and I have a nice number of bookmarks I use to check on things. Of course things like Google Alerts and Google News are also in my toolkit. I started before there was much of anything out there, so I didn’t have much of a choice.